An updated, spa-like bathroom is going to get to be a wow-factor. But, even if you aren’t planning on moving, a spa-like bathroom can be your personal oasis where you can relax. 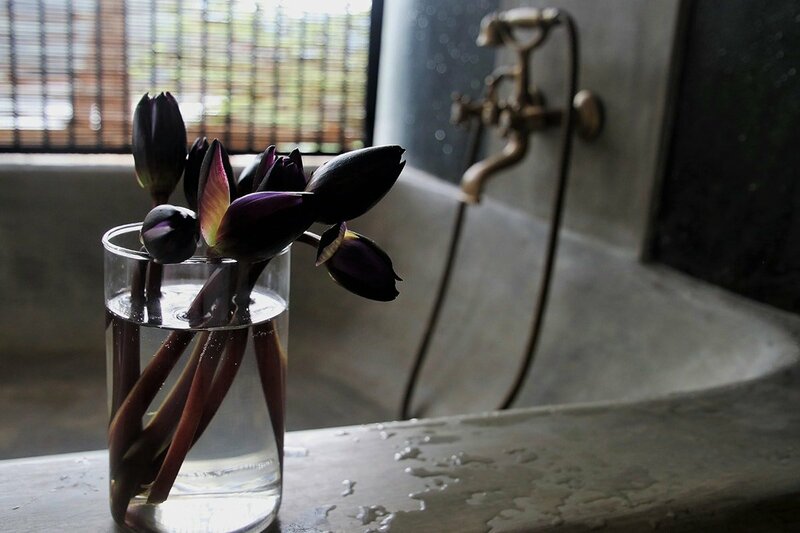 Here are a few tips for designing your spa retreat bathroom on a budget. Being glamorous doesn’t have to be expensive! Wishing your bathroom was a bit more like a spa? When you’re busy, stressed, or just want to relax, a spa trip is just what you need. However, making trips to the spa can be expensive and time-consuming. That’s why many people choose to turn their home bathroom into a home spa instead. You might be putting off making spa-like upgrades because you think you can’t afford them. However, you’ll be surprised to learn that you can actually make a great bathroom on a budget. That’s right: You can afford all kinds of upgrades to turn your space into a spa without shelling out a lot of cash. Wondering how to do it? Keep reading to learn how to make the bathroom upgrades that will change your life! The visual appearance of a room is critical for giving it that spa-like feel. Most spas use minimalism and relaxing colors to achieve the right vibe. A neutral, earthy color palette is a great way to get that look on a budget. Paint doesn’t cost much, and you can choose from all the shades you can dream of. Try soft grays, greens, or browns to trick your brain into thinking you’ve found an escape into nature. 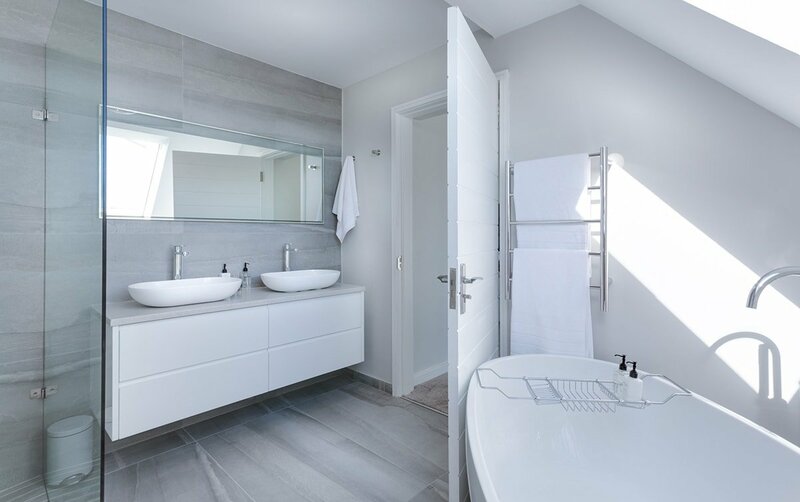 However, if you have a small bathroom, it’s best to stick with lighter colors. This will help make a small bathroom look bigger. Large spaces can work well with darker colors. 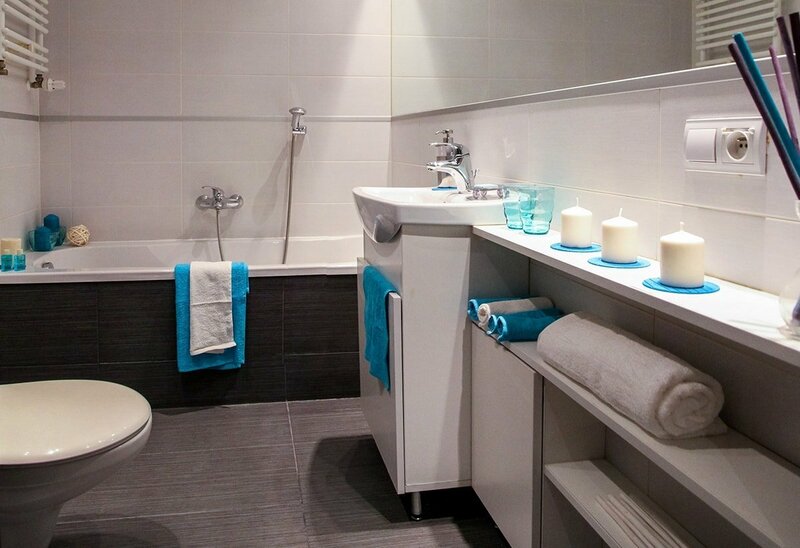 For small bathrooms, try pale greens, beiges, or light blues. Another one of the first things you’ll notice about most spas is the lighting. You can achieve that same look in your home, giving a romantic, relaxing sensation to a bath or at-home facial. It costs a bit more than new paint, but installing new lighting is still very affordable. Use wall scones or recessed lights in the ceiling to cast a soft glow across the room. Add dimmer controls so you can adjust the lighting as needed. Using a dimmer, you can make the lighting softer and more spa-like at times, while brightening it when you need to get ready for your workday or apply makeup. To install dimmers, you will probably need to hire an electrician. However, even if you can’t afford that, the new light fixtures can still make a big difference. Spas are all about natural touches, and wood is another way to give a room that relaxing sense. However, wood and water don’t always mix well. That’s why faux wood tiles are a great choice for your spa-themed bathroom. Wood flooring gives a warm, peaceful look to any space. Faux wood tile is made of porcelain or ceramic and has a texture that looks like natural wood. Since it’s not actually porous, it won’t be damaged by the water in your bathroom. You can also get these faux wood tiles in many different patterns, so it’ll match no matter what your bathroom decor is. You don’t have to spend a ton of time to reap the benefits of this spa-like upgrade. 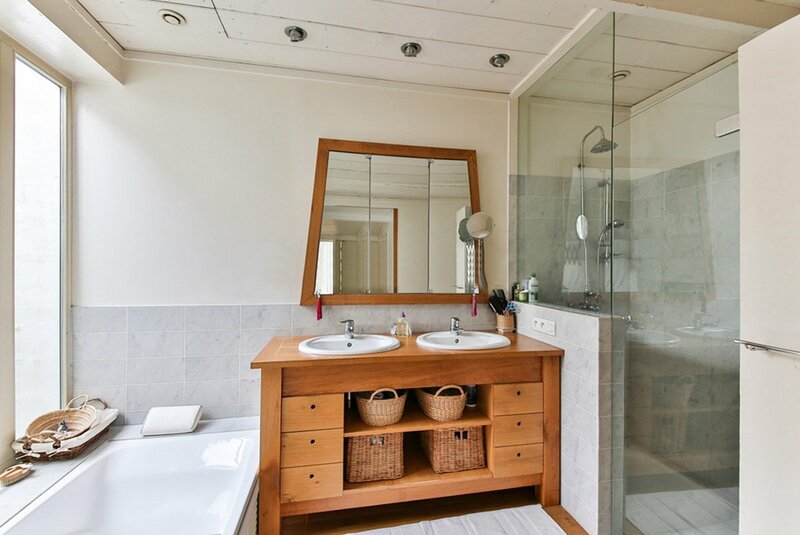 If clutter is building up in your bathroom, the sight of it will unconsciously stress you out. Removing or hiding it is a surefire way to make the space seem more like a spa. If you can, move things to a different part of your home. If they need to stay in the bathroom, find a cabinet or cupboard where you can hide them from view until you need them. Clear out any expired or old toiletries you no longer use and keep only what you need. Need more storage space? Hit the thrift store for some attractive cabinets or drawers. Store small things like Q-tips in glass jars on the counter, so they’re contained but still easy to reach. 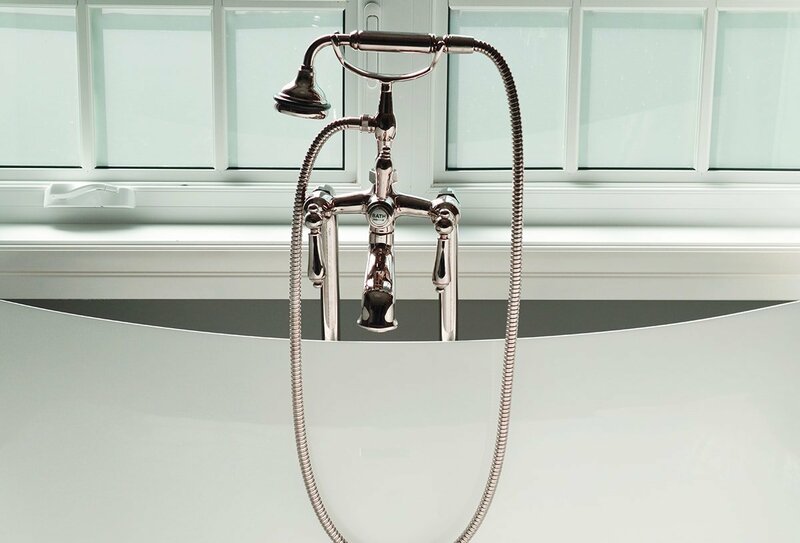 A claw-foot tub gives a luxe, vintage look to your bathroom. 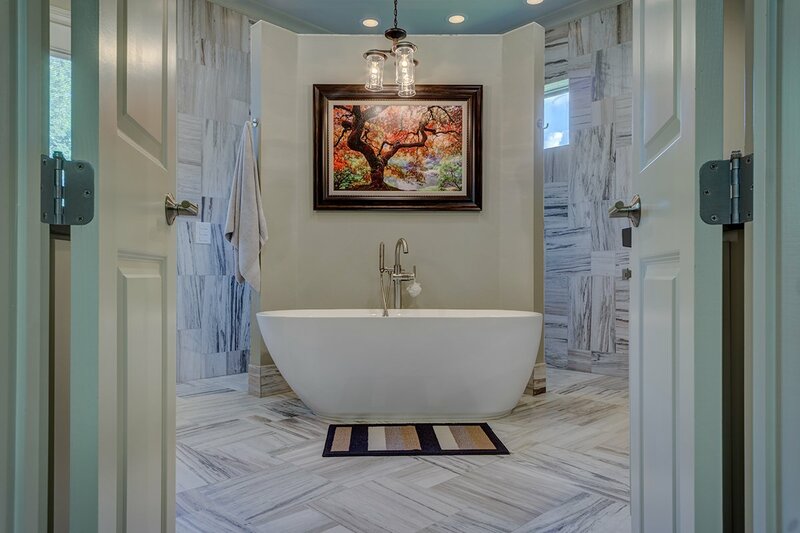 For some claw-foot tub styles, view here. No matter how small your bathroom is, you can find one that will work. If you don’t have much space to work with, look for tubs that are small but deep, so you can still relax. A massage showerhead doesn’t cost a lot but will change your shower experience to a spa experience. Since you probably shower every day (or close to it), this is a worthwhile investment for your bathroom. Although the tub is also important, you won’t use it nearly as often as the shower. You also don’t need a bigger bathroom to enjoy a new shower head. Spas almost always feature heated towels. 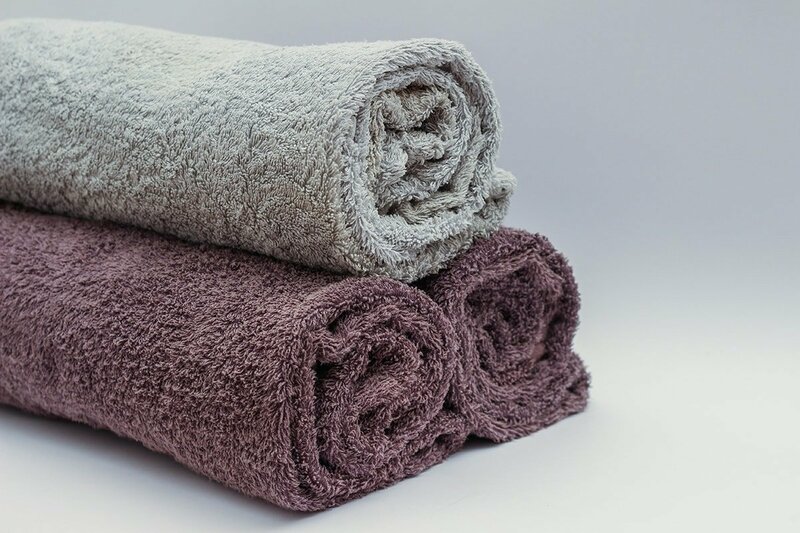 Your existing towels can be transformed into luxurious spa towels with just a bit of steam. Or, you can enhance the experience even more by buying some new, fluffy towels. When it’s cold in the winter, a heated towel is a luxe treat. And even in the summer when it’s warm, you’ll probably feel chilled when you first get out of the shower or bath. You can steam your towels in the microwave if you want, but to make it easier, you can invest in a towel warmer. Install it in your bathroom vanity, and your warm towels will always be within reach. Or, if you’d rather dry your towels and warm them at the same time, try some towel warming bars instead. This is a great choice if you don’t have a lot of space in your bathroom. Ready to Design Your Bathroom on a Budget? You can design the spa bathroom of your dreams without spending a lot of money. Just follow these tips to upgrade your bathroom on a budget. With these ideas, visiting the spa won’t take anything more than a walk to another room. Looking for more home upgrade ideas? Check out our guide to making your space cozier today!